The contributor list for Strumpet 2 is more or less sorted now, and the first pictures, ideas and scripts are starting to fall into my inbox (lucky me!). 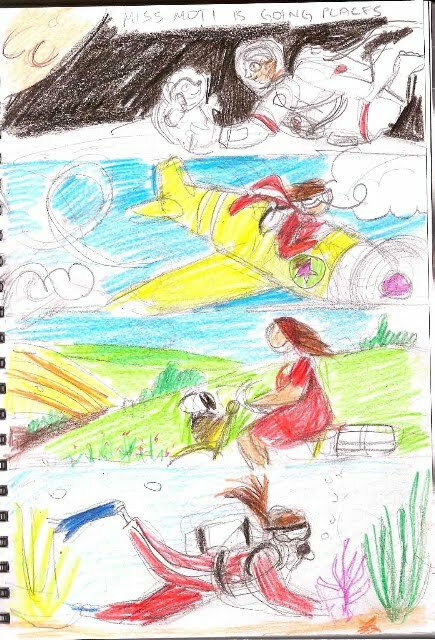 I just had to share these beautiful sketches by Kripa Joshi, creator of the inimitable and gorgeous Miss Moti. Because Kripa's style is so elegant and finished, I was fascinated to see an early stage in the design process -- that and I just loved Miss Moti's space dog! 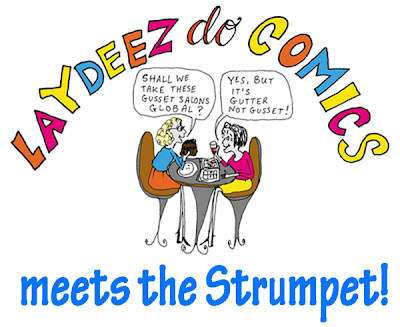 The Strumpet and Laydeez Do Comics: This Saturday, April 7th, in NYC!!! 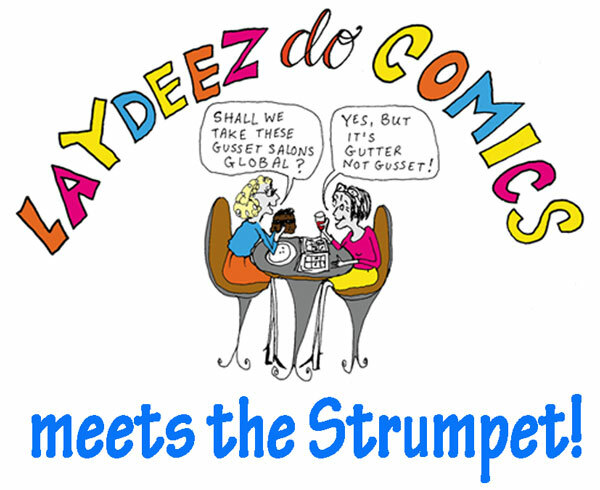 This Saturday Head Strumpet Ellen Lindner will be speaking at the first-ever New York City edition of London comics discussion group, Laydeez Do Comics! Starting at 7PM, the main event will take place at Studio G, South Oxford Space, located at 138 S. Oxford Street. There's a $1.50 admission charge which goes - as is traditional at the London meetings - towards renting the space. 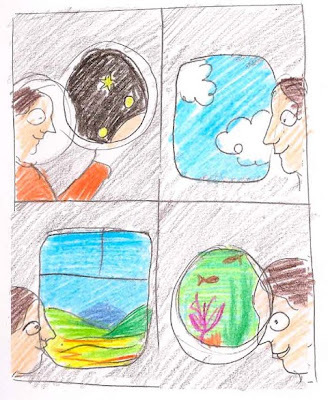 Ellen will be speaking about her work with Jeremy Day on The Strumpet, as well as her graphic novel Undertow and other projects in comics and illustration. 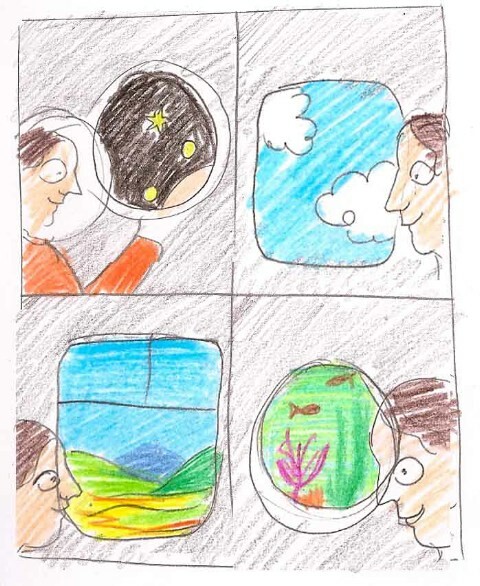 Other presenters will include Laydeez co-founder and author of Billy, Me and You (Myriad Press) Nicola Streeten, Graphic Details: Confessional Comics by Jewish Women curator Michael Kaminer, illustrator Bonnie L. Millard and Laydeez co-founder and respected academic Sarah Lightman. The afterparty will be at Pacific Standard from 10 onwards- come and raise a glass with some real-live Strumpets!